During this week we celebrate the Easter Triduum, or as the Easter Ceremonies as they are better known. 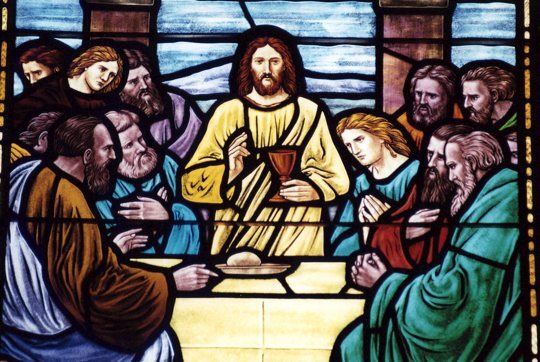 The Triduum (meaning three days) comprise the Mass of the Lord’s Supper on Holy Thursday, the Celebration of the Lord’s Passion on Good Friday, and the Easter Vigil on Holy Saturday night. Although separated in time, these three ceremonies are in fact three parts of one celebration spaced over the three days. They are the high point of the Christian year, and so you are encouraged if at all possible to attend all three parts of the Triduum. The Easter vigil on Holy Saturday begins with a gathering in the churchyard followed by a procession into the church led by the new Paschal candle. Only members of the choir, and other people involved in the ceremony who need to be, should be in the church before the vigil begins. All others gather in the churchyard and enter with the procession.